Heat oven to 400°F. Spray two 15x10x1-inch pans with cooking spray. In large bowl, toss all ingredients. Spread evenly into pans. 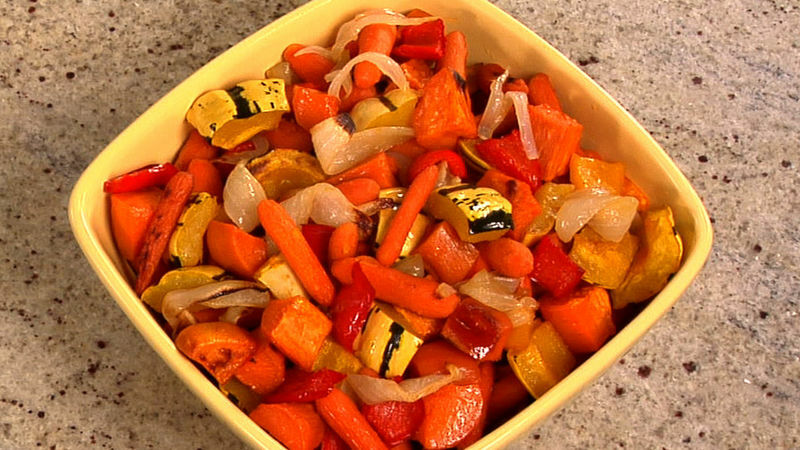 Roast uncovered for 1 hour until vegetables are tender and golden. - Use a potato peeler to peel yam and squash - peel away from yourself. - Baking sheets should have sides. - If unable to locate a delicate squash, another firm squash could be substituted such as butternut or acorn.